Casting as a Route to Manufacture – what do your designer engineers and purchasers need to know? Many automotive OEMs need to purchase large numbers of castings to very high specifications. Yet many purchasers and designers have limited understanding of the advantages and limitations of the casting process and how best to design components for casting. One large UK OEM came to ICME with just such an issue. With a number of component designers and purchasing professionals, many of whom had limited knowledge and experience of the specifics of design for casting and the high pressure die casting process, Jaguar Land Rover were seeking training for their staff to give them a better understanding. 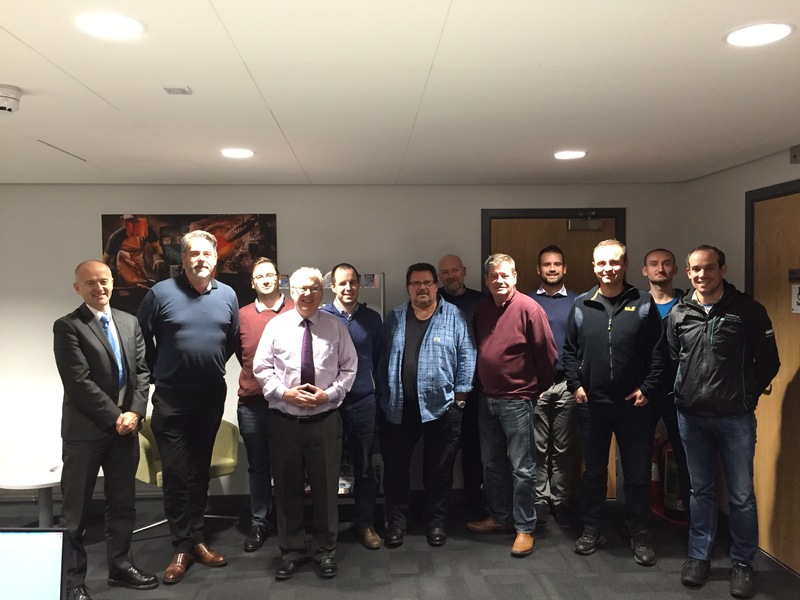 Over the course of three days, two castings specialists from the Institute of Cast Metals Engineers, ICME, hosted a group of twelve Costing and Purchasing Engineers from Jaguar Land Rover to present a foundation course in high pressure diecasting. As the professional engineering institute for the UK Casting and Foundry Industry, ICME was able to develop a bespoke programme for the company, tailored for their particular needs and for their range of parts and alloys. The course included an overview of the full range of casting processes, information about how to design for casting with advice on best practice and mistakes to avoid, helping to ensure right first time design, as well as visits to two local foundries. The classroom elements of the course were hosted by ICME at the new National Foundry Training Centre (NFTC) in Dudley Port, West Midlands – this is a brand new facility, part of the Elite Centre for Manufacturing Skills, ECMS Ltd.
ICME has now developed a range of technical short courses aimed at the end user enabling them to understand casting as a route to manufacture and the top 10 tips for casting design. In addition, the opportunities to reduce lead times through the use of casting simulation and additive manufacturing can be covered. ICME is also able to arrange bespoke training courses on a range of foundry and castings related subjects for any type of business, including foundries, suppliers and customers. “We recognise that many end users and designers do not have a detailed knowledge of the casting process and this can lead to delays and costly re-design work, so ICME was delighted to be able to support JLR with this training programme”, said Trevor Ayre FICME, ICME National President.